Truecaller, one of THE most downloaded app in Play Store till date, has updated itself with a lot of new features. The features include flash messages, support for SMS inbox and a one tap payment system called TrueCaller pay. For those who don’t know about Truecaller yet, it’s simply an app that help the users to identify an unknown incoming call. What Truecaller does is mainly syncs all the users’ phonebook to identify the incoming call. One of the main update is the SMS inbox feature which identifies the unknown SMS sender. Earlier, Truecaller used to track only calls but with this update, SMS is now possible as well. This would actually be helpful for those who are actually fed up with promo messages. According to the Swedish company, nearly 15% of all the SMSs received are either SPAM or promo ones. This new feature will automatically identify & instantly block. Apart from this, another new feature that is being added up is the flash messaging support. This will allow the user to quickly send text messages which are set earlier to any truecaller users. A feature that is very handy while in a meeting, emergency or driving. Lastly and the most notable feature is the addition of a new UPI based payment feature which is currently only for India in partnership with ICICI Bank, the largest private sector bank in India. Through the Pay app, it will allow any user to make mobile recharges and send payments as well. The only requirement is to register the number and generate a UPI ID. 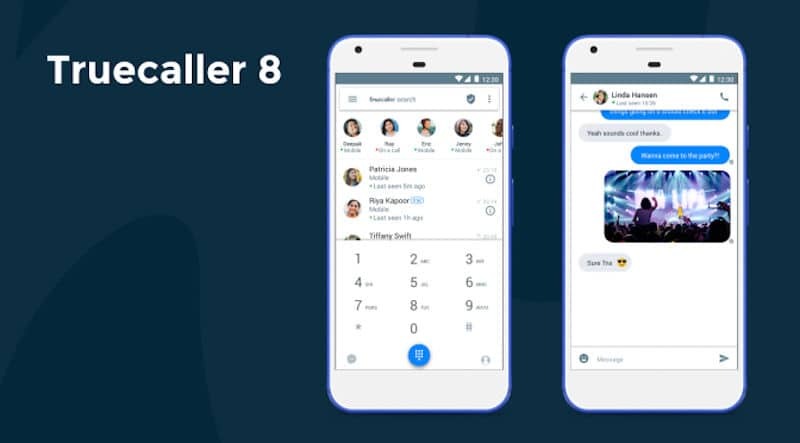 Truecaller will also have Google Duo integrated with its own app where users will soon be able to place video calls using the Google Duo. Seems like Truecaller is trying to create an ecosystem of their own! Downloaded the app yet? Let us know in the comments below. Is The Samsung Galaxy S8 Good Enough?